IBM X3850 X5 Server. 128gb (16x8GB) DDR3 Server Ram. HDD shredding from just £2 per HDD. Free sanitization of HDD data. No refrigeration units. Drop off your old electronics for free recycling. IBM system x3200 M2 Server. Used. Working. Xeon 2 Core 3GHz. IBM X3200 M2 Tower Server. Xeon E3110 2 core 3 Ghz Processor. Used but in working order. there is no hard drive supplied . Space for up to 4 SATA hard drives. Fully hardware compatible with Hyper V, ESXi, XEN, KVM, VMware etc. Hyper-threading ,Turbo Boost ,AES-NI, Smart Cache. Optical Drive - None. IB M SYSTEM X3500 M4. X3500 M4 Machine. 4x 146GB 10K SAS. We are able to source hard to find parts for Legacy systems through to the latest new in box parts for the latest generations of servers & storage systems. 4 x E7540 2ghz processors. IBM X3850 X5 7145-AC1. Optical drive. No rack mount rails. Anything we haven't covered?. 2 x 1975W hot swap AC power supplies. For sale is an IBM HS22V Blade Server. These servers are fully tested and in perfect working condition. These are HS22V blades which are designed to be used in IBM Bladecenter chassis'. These take 2x 1.8" SSD drives (no drives are included). A services portfolio make it easy to customize the perfect TS440 for your needs. Why Buy From Us. Exceptional Service. Trusted Refurbisher. Refurb Monitors. Used Printers. Servers & Networking. PC's & Workstations. Model:xSeries 366 8863-3RG. ComputeUK - Suppliers of new and used Computer and IT related products. Tested, Fully Working. DVD/CDRW Drive. IBM X3400 M2 Tower Server. Our dedicated sales staff averages 25 years’ experience in the wholesale marketplace of Dell, HPE, Lenovo and IBM Technology. 5U tower industry-standard models, rack mount optional. 6 x 148GB SAS 3.5" 15K disks. Single Quad Core E5310 @1.60GHz. IBM System x3650 Server. With Rails. IBM x3950 E Rack Mount Enterprise Server. 6 x 2.52 SAS Hot Plug Drive Bays - NO DRIVES INCLUDED. In good condition and full working order. 2 x Power Supplies. IBM xserver 336 16Gb Ram. Condition is Used. Sata Connector - SATA I. Excellent storage device. Supplied with Hard Drive Caddies. ComputeUK - Suppliers of new and used Computer and IT related products. Tested, Fully Working. IBM system X3250M4 Rack Server. 4GB Ram PC3L. 1 x IBM 49Y7947 Dual Port Gigabit Ethernet Adapter. 1 x 2.6GHz CPU Dual Core. IBM System x3650 M3 7979-DM9 2x Xeon 4-Core L5420 2.5GHz 1.5TB. Model No: System x3650. 12GB RAID Server. 2 x IBM 9Gb SCSI Hard Drive. 1 x IBM RS/6000 7026-H80 5U Rackmount Server Chassis. The RS/6000 Model H80 is a rack-mountable server with the high performance, reliability. The H80's price is very competitive for a rack server, and its price/performance make it an attractive choice. 4 x X7520 Processors. 164GB DDR3 10600R Ram. IBM X3850 X5 5U RACK SERVER (7145ARG). IBM 7145 ARG. DVD RW Drive. Location: Demo Room. IBM HS22 Blade Server 7870-W5B 2x Xeon Quad-Core E5520. Model No: Blade Server HS22. 2.26GHz 12GB Ram. TH 206410 - 1. In Good Condition. 2 x xeon 5130, 8 gb ram and 2 x 73gb sas disks. Cisco UCS B200 M2 N20-B6625-1 - Blade Server With Motherboard. Dual Xeon E5504 quad core CPU @ 2 GHz 64GB RAM. IBM Part Number - 7946-K1G. The server will be missing the drive space 0 blanking plate as the disk has been destroyed for data protection purposes. Has been booted to server 2012 R2. IBM System x3550 M3 7944-CTO 1 U Server. Model No: System x3550 M3. 1 xIBM System x3550 M3 7944-CTO Server. 2 x 146GB 2.5" 15K SAS 6Gb/s Hard Drive HDD 42D0678. CS 200212 200214 -server 200213 200215 -rails. IBM System x3690 X5 Dual Xeon 64GB RAM. dual e7-4830 8 core total 16 core 32 threads. We will resolve the problem directly with you. CHEAP 16 CORE 32 THREADS SEERVER. EACH NODE WITH 2X x5670 Hex CORE. 2X CADDY 1 PER NODE (NO HARD DRIVES). 2U CHASIS (NO RAILS). 16GB RAM TOTAL (MORE AVAILABLE). Northern Ireland. Scottish Islands. Serial numbers : All relevant serial numbers are logged in a data base, we also use warranty stickers where appropriate. 2x8-CORE 3.55GHz CPU's. Dual Power Supplies. 64GB (4x16GB). IBM x3650 M4 - 7915-CTO. 2x 300GB 10K SAS. 2.4GHz 4C. 2x E5-2609. IBM x3650 2U Rack Mount Server. DVD CD/RW Combo drive. Model: iSeries 9406M. 1 x IBM eServer iSeries 9406M - Consisting off 45 x 18GB 10K SCSI Drives. Barebones IBM BladeCenter HS20 Blade Server. 2x Xeon 3.2GHz CPUs. Four slots. Up to Two 36.4 GB 10,000 rpm. Hard drives. 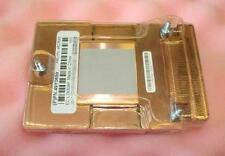 NO 2.5" SCSI Hard Drive. Up to 8 GB PC2-3200. 1MB L2 Cache. IBM X3550 M2 1U Server. Free VGA-to-VGA cable included. WHAT'SNOT INCLUDED: - Hard drive and caddy / Inner Rails / Outer Rails / Cables / Accessories / Software etc. WHAT'S INCLUDED: - Server with 5 blanking plates ONLY. OS is not installed. CONDITION: - In satisfactory condition. 40 Cores (80 Threads), 1024GB DDR3, Rail Kit, VAT Inc. 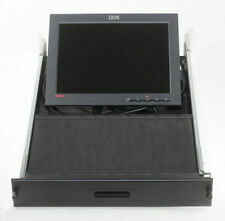 Description (Summary) ---IBM System X3650 M3 [7945G2G]. ---5 X 600GB & 2 X 146GB HDD's (2.5") ---32GB RAM ---1 X Intel Xeon CPU E5620 @2.40GHz. 40 Cores (80 Threads), 256GB DDR3, Rail Kit, VAT Inc.
CPU Type : x5680 Hex core. 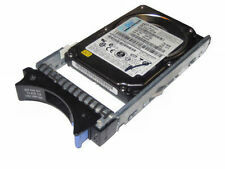 Dell Part Number : X3650 M3,7945-AC1. Ram: 48gb. Cpu Speed : 3.3GHZ. Rails: included. (inner outer). CPU Qty : 2. Lid taken off to take picture and its included in case you ask.